The state of Washington said Tuesday it opposes a federal proposal to reclassify as less dangerous some radioactive waste on a site in the state that contains the nation's largest supply because it fears much of the waste will be left in the ground. 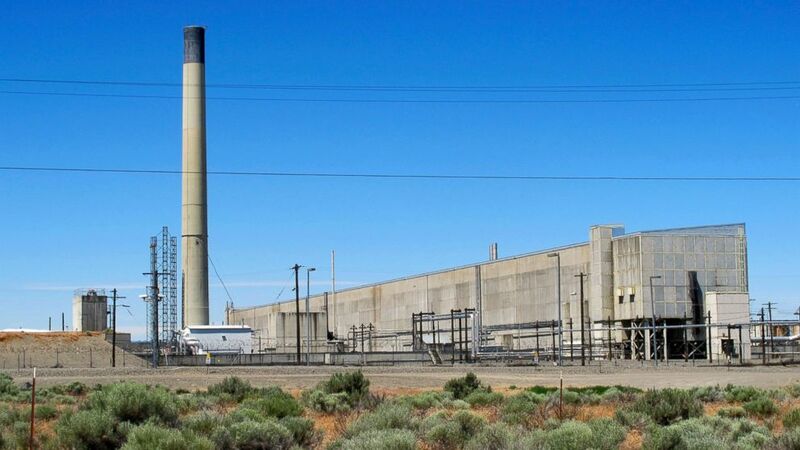 The state this week filed its objections to a Trump administration plan to reclassify millions of gallons of waste stored in underground tanks at Hanford Nuclear Reservation. The objections were accompanied by a letter from Gov. Jay Inslee and Attorney General Bob Ferguson. The U.S. Department of Energy is seeking to reclassify a large percentage of the waste as lower-level waste. That would allow treatment and disposal options that would not guarantee long-term protections. "This dangerous idea will only serve to silence the voices of tribal leaders, Hanford workers, public safety officials, and surrounding communities in these important conversations," said Inslee, a Democrat who is considering running for president in 2020. "This is unacceptable, and we will not stand by while this administration plans to abandon its responsibility to clean up their mess." Hanford was established by the Manhattan Project in World War II to make plutonium, a key ingredient in the atomic bomb dropped on Nagasaki, Japan. The site, near Richland, Washington, went on to produce most of the plutonium for the nation's nuclear arsenal. As a result, the site also contains the nation's largest collection of nuclear waste. The most dangerous is stored in 177 aging underground tanks, some of which have leaked. Critics say that reclassifying some of the high-level radioactive waste to low-level could save the government billions of dollars and decades of work by essentially leaving the material in the ground. Hanford tanks hold 60 percent of the nation's most dangerous radioactive waste left over from nuclear weapons production. Cleanup efforts at Hanford have been underway since the late 1980s and cost about $2 billion a year. Currently, all of that waste is classified as high-level. Plans for its treatment and disposal have been developed to isolate it from the environment until it is no longer dangerous. Current law defines high-level radioactive waste as resulting from processing irradiated nuclear fuel that is highly radioactive. The Energy Department wants to reclassify some of the waste if it meets highly technical conditions. The agency says the change could save the federal government $40 billion in cleanup costs across the nation's entire nuclear weapons complex, which includes the Savannah River Plant in South Carolina and Idaho National Laboratory. The agency can make the change without the approval of Congress.